A trip back in time to an alternate universe of freedom, adventure and romance. A cinematic technicolour dream, following the hero Alejandro in his journey to the early 1960s. Power pop fans will dig this new album from this pioneering band. The Nines is a Canadian power pop band formed in Toronto, Ontario in 1998. The core of the band is multi-instrumentalist, vocalist and primary songwriter Steve Eggers. A series of other band members have rotated in and out through the years as Eggers shifts styles yet keeps strong songs as the constant theme. Several Nines/Eggers songs have been included on network television series, including Dawson's Creek, Party of Five and Joan of Arcadia. The first Nines album, Wonderworld of Colourful, was released in Canada in 1998 on the Page Music label and was distributed through EMI. Later that year, Universal Music Canada released a piano-based four-song EP. Eggers admits that the band was still a "work in progress" at this time. While essentially a studio project, the band has performed live and has shared the stage with a diverse group of artists including Andy Partridge of the British band XTC, and Jason Falkner, former member of the band Jellyfish. 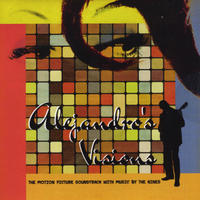 Their new album "Alejandro's Visions" finds Eggers tapping into the musical cinematic influences of the 1950s, from rock n roll to musicals to doo wop to the advent of the Beach Boys, with the help of Bill Majoros (the Foreign Films).